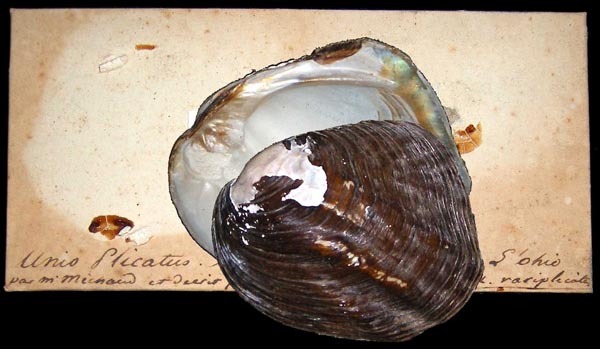 = Amblema plicata (Say, 1817). — Bolotov et al. (2018). 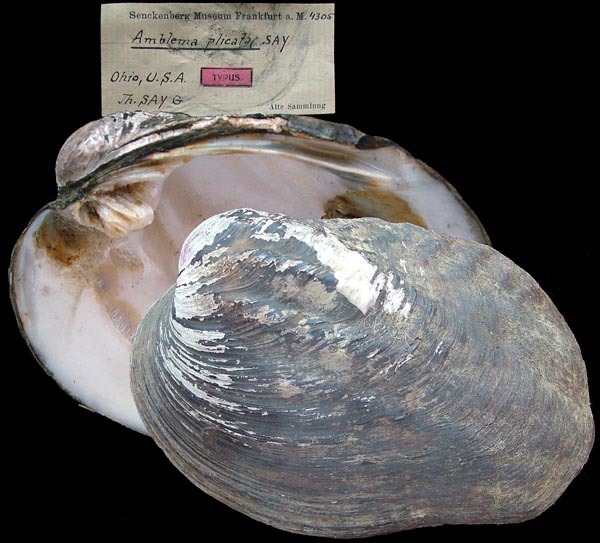 = Amblema plicata (Say, 1817). — Zieritz et al. (2018). 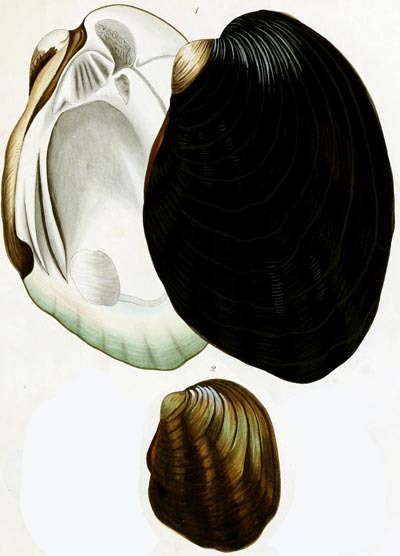 = Amblema plicata (Say, 1817). — Williams et al. (2017). 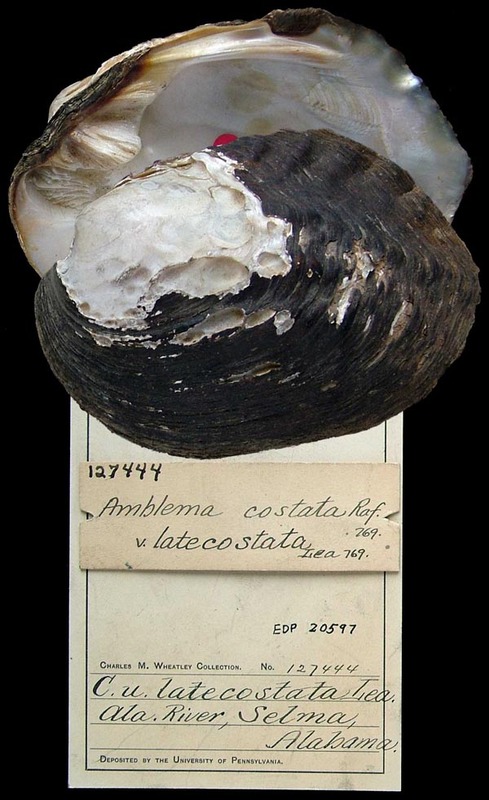 = Amblema plicata. — Araujo et al. (2017). = Amblema plicata (Say, 1817). — Lopes-Lima et al. (2017). = Amblema plicata (Say, 1817). — Bolotov et al. (2017). 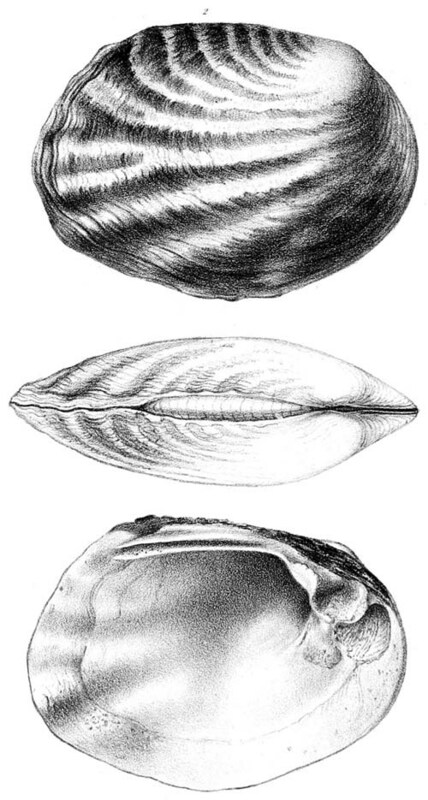 = Amblema plicata. — Perkins et al. (2017). 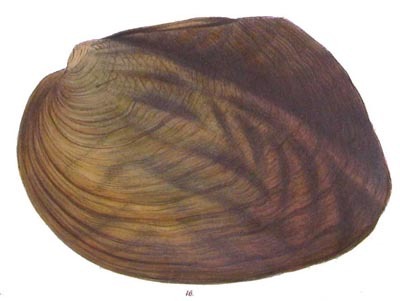 = Amblema plicata. — Pfeiffer et al. (2016). 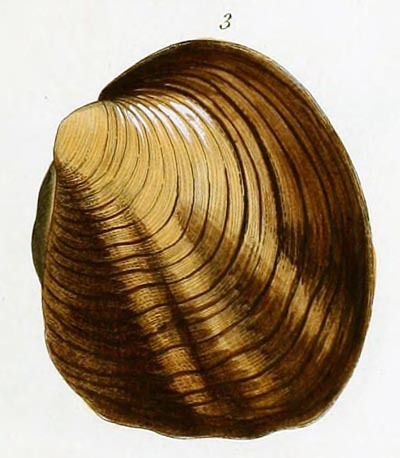 = Amblema plicata. — Chong et al. (2016). 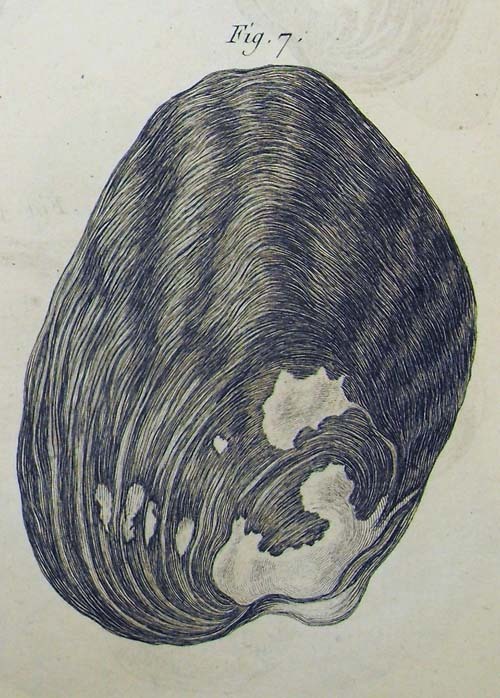 Rafinesque, 1820, Ann. Gén. Sci. Phys. : 315, pl. 82, figs. 13-14. Rafinesque, 1864, [in] Binney & Tryon, reprint: 58. 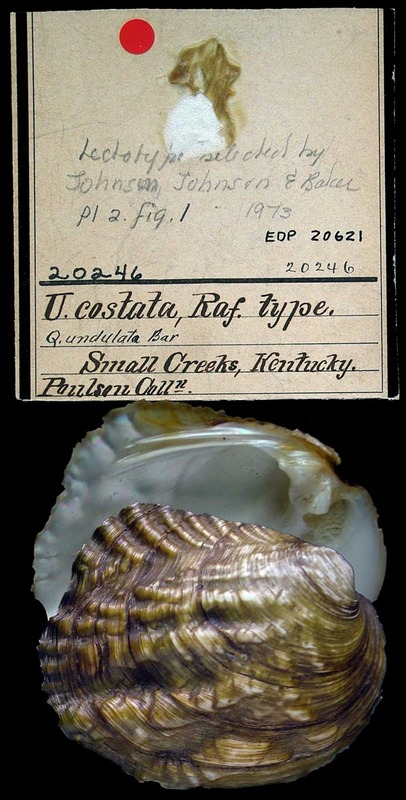 Type(s): LECTOTYPE ANSP_20246, small creeks, Kentucky. Conrad, 1836, Monogr. Fam. Unionidae: pl. 17, fig. 7. Reeve, 1864, Conch. Icon. : pl. 4, sp. 16. Conrad, 1841, Proc. Acad. Nat. Sci. : 19. Conrad, 1850, Jour. Acad. Nat. Sci. : 276, pl. 38, fig. 2. Conrad, 1853, Proc. Acad. Nat. Sci. : 261 [as ‘Plectomerus perplicatus’]. 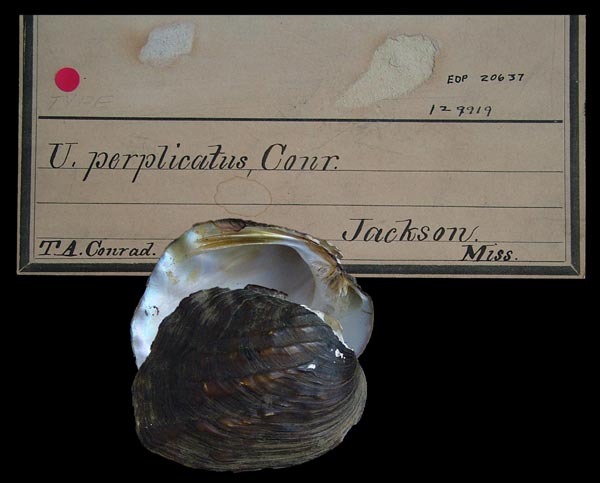 Type(s): HOLOTYPE ANSP_129919, Jackson, Miss. Lea, 1848, Trans. Amer. Phil. Soc. : 70 , pl. 2, fig. 5 [as ‘atro-costatus’]. Lea, 1845, Proc. Amer. Phil. Soc. : 163 [as ‘hippopœus’]. Lea, 1848, Trans. Amer. Phil. Soc. : 67 , pl. 1, fig. 1 [as ‘hippopœus’]. 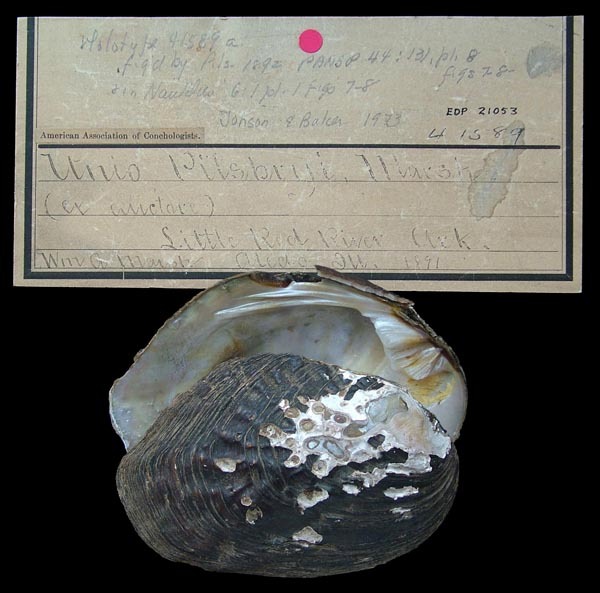 Type(s): HOLOTYPE USNM_84096, L. Erie. Lea, 1848, Trans. Amer. Phil. Soc. : 68 , pl. 1, fig. 2. 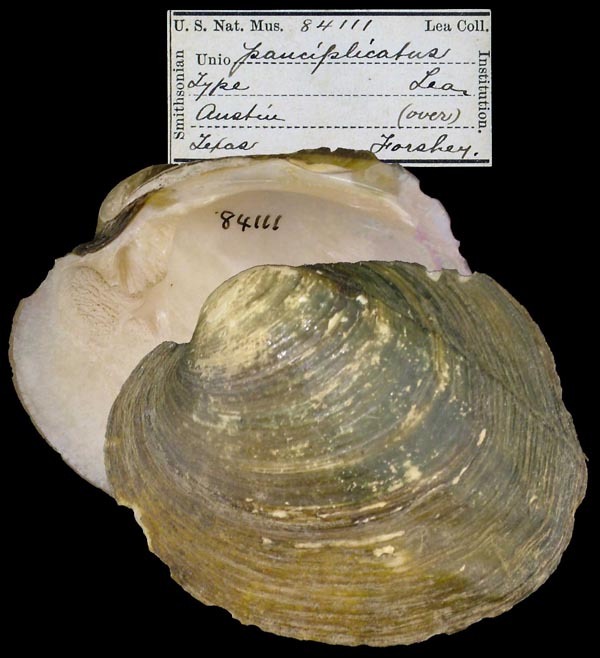 Type(s): POSSIBLE SYNTYPE ANSP_127444, Ala. River, Selma, Alabama. Margaron (Unio) laticostasus Lea, 1852. Lea, 1852, Synopsis Fam. Naiades: 21. ‘Say’ Küster, 1855, Conchyl. Cab. : 136, pl. 40, figs. 1-2. Conrad, 1855, Proc. Acad. Nat. Sci. : 256. Type(s): LECTOTYPE ANSP_129918, Pearl River, Miss. Reeve, 1864, Conch. Icon. : pl. 11, sp. 42. Paetel, 1890, Cat. Conch.-Samml. : 163. 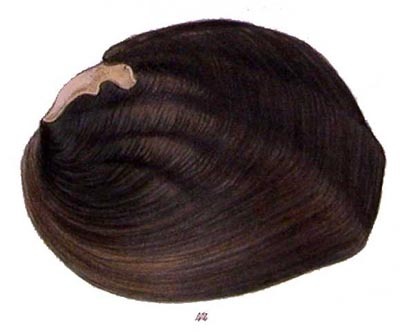 ‘Conrad, Anthony, MS.’ Reeve, 1864, Conch. Icon. : pl. 9, sp. 35; errata [changed to ‘U. atrocostatus’]. Lea, 1868, Jour. Acad. Nat. Sci. : 309 , pl. 48, fig. 122. 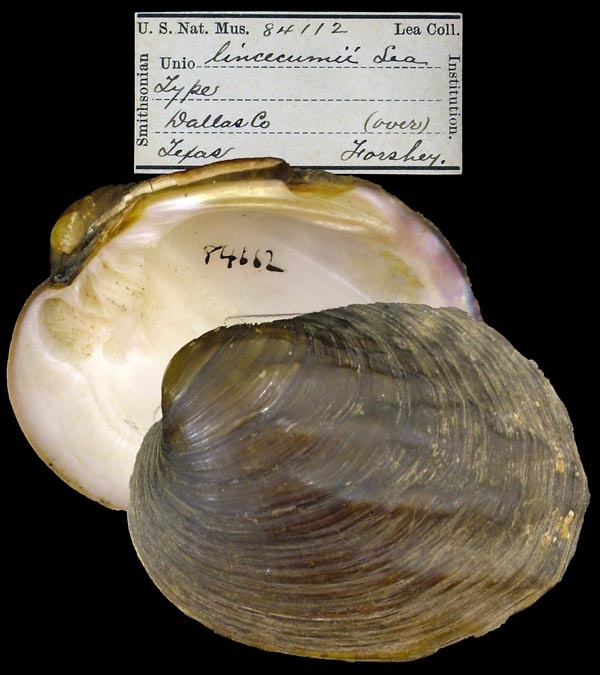 Type(s): HOLOTYPE USNM_84110, Brazos River, Tex. Lea, 1868, Jour. Acad. Nat. Sci. : 312 , pl. 49, fig. 125. 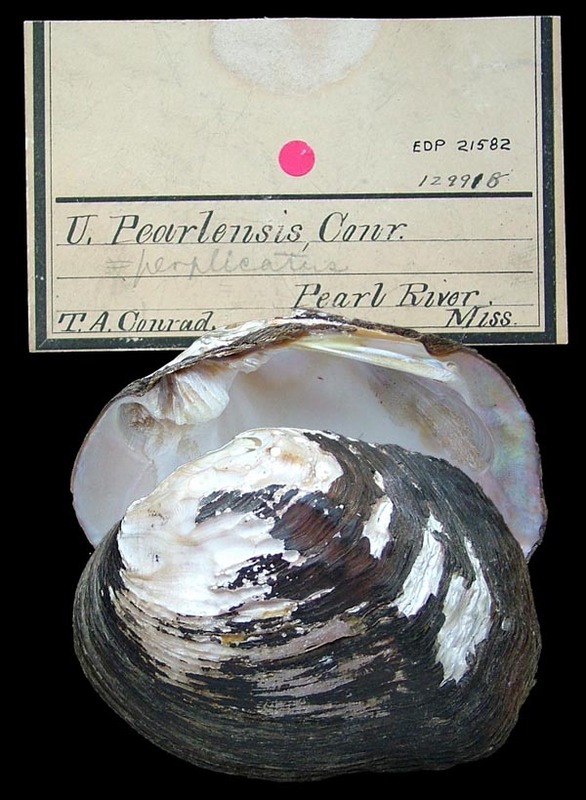 Type(s): HOLOTYPE USNM_84112, Dallas Co., Texas. Lea, 1874, Jour. Acad. Nat. Sci. : 29 , pl. 9, fig. 26. 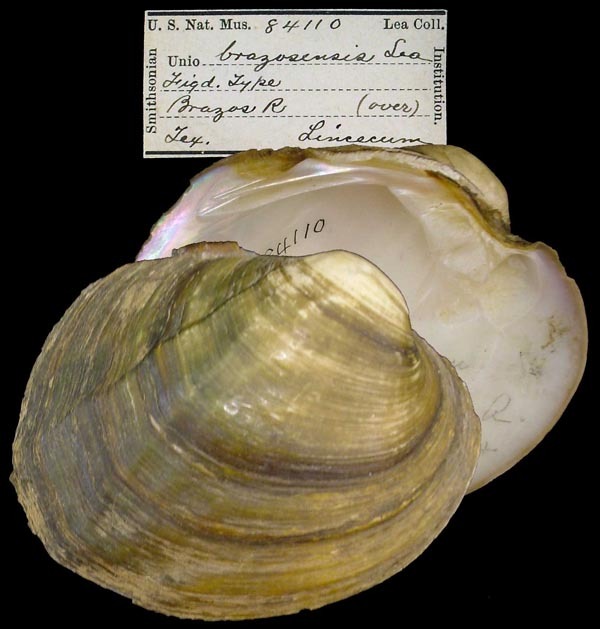 Type(s): HOLOTYPE USNM_84111, Austin, Texas. Cragin, 1887, Bull. Washburn Coll. : 6. 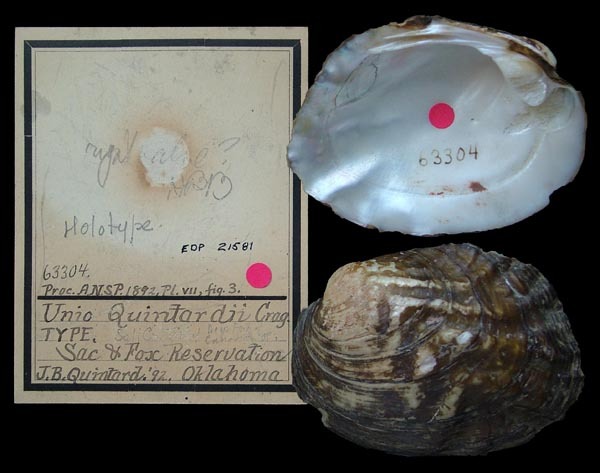 Type(s): HOLOTYPE ANSP_63304, Sac & Fox Reservation, Oklahoma. ‘Lea’ Paetel, 1890, Cat. Conch.-Samml. : 157. 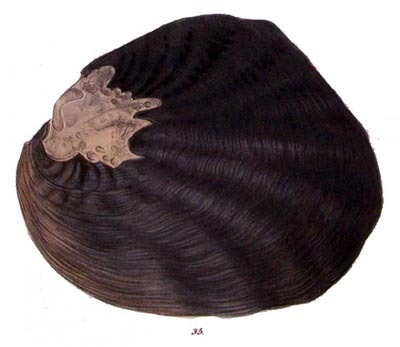 Pilsbry, 1892, Nautilus: pl. 1, figs. 7-8. Pilsbry, 1892, Proc. Acad. Nat. Sci. : 131, pl. 8, figs. 7-8. 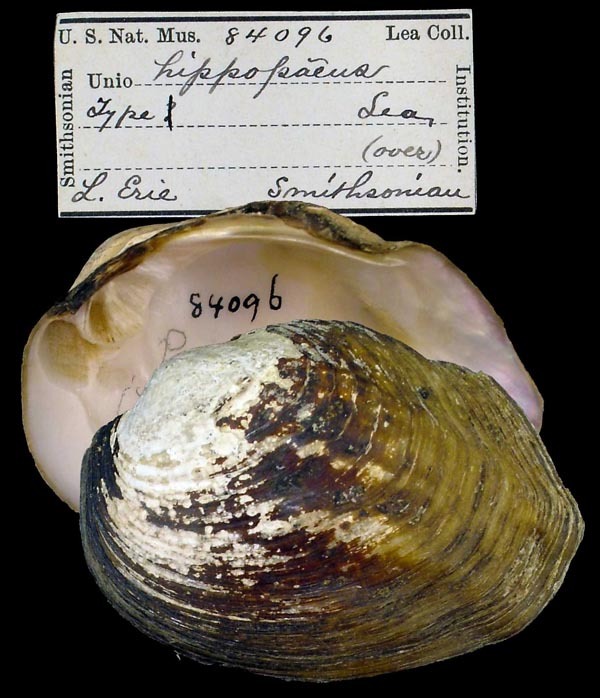 Type(s): HOLOTYPE ANSP_41589, Little Red River, Ark. 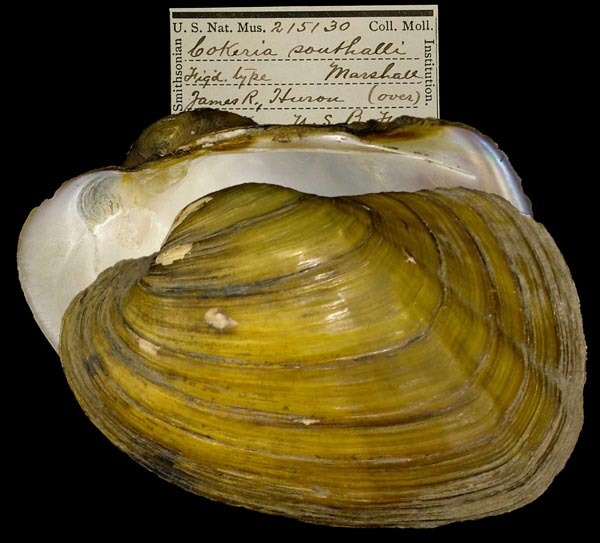 Type(s): HOLOTYPE USNM_215130, James R., Huron, South Dakota.